Don’t miss this event! 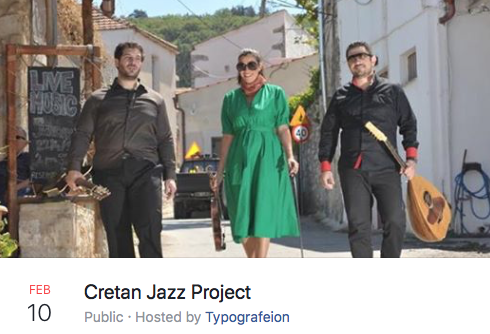 On Sunday, 10th February the Typografeion hosts for the third time the Cretan Jazz Project. Maria Manousaki, Nektarios Kostakis (violin) and Spyros Koutsorinakis (guitar). Do not miss it ! !